Of course, that was all in fun and the law of thermodynamics doesn’t really work that way. But Dr. Val was right about one thing: A lot of students probably slept during their pre-med physics class and don’t remember their professor’s lecture on the Law of Thermodynamics. That is evident, just as she quoted, by the fact that the most important part of the Law of Thermodynamics is usually left off. While it might seem inconceivable, this simplified maxim is little more than superstition and urban legend. To realize this fact requires us to first go back to physics class and fill in the missing parts of the first Law of Thermodynamics. The first Law of Thermodynamics, or energy balance, basically states that in a closed system, energy can neither be created nor destroyed, only transformed or transferred. The human body is not a machine. There are countless, wildly varying, variables (external and internal) involved and that affect the efficiencies of a system and for which we have no control over. Understanding this helps to explain why calories cannot be balanced like a checkbook, and why people never seem to gain or lose precisely as calculated. 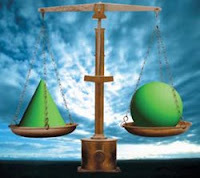 Balance in an open system, like the human body, is when all energy going into the system equals all energy leaving the system plus the storage of energy within the system. 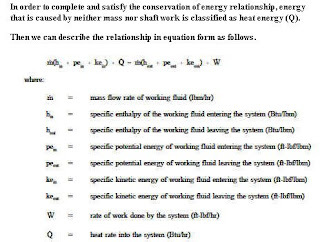 But energy in any thermodynamic system includes kinetic energy, potential energy, internal energy, and flow energy, as well as heat and work processes. In other words, in real life, balancing energy includes a lot more than just the calories we eat and the calories we burn according to those exercise charts. The energy parts of the equation include: calories consumed; calories converted to energy and used in involuntary movement; calories used for heat generation and in response to external environmental exposures and temperatures; calories used with inflammatory and infectious processes; calories used in growth, tissue restoration and numerous metabolic processes; calories used in voluntary movement; calories not absorbed in the digestive tract and matter expelled; calories stored as fat, and fat converted in the liver to glucose; and more. Add to that, to put it simply, each variable affects the others, varies with mass and age, involves complex hormonal and enzyme regulatory influences, and differs in efficiency. Calories eaten and calories used in voluntary movement are only two small parts of energy balance and are meaningless by themselves, unless all of the other variables are controlled for, as our metabolism… which they can never be as they aren’t under our control. 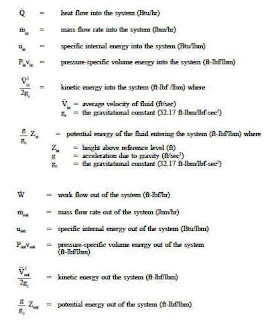 There’s also a second Law of Thermodynamics, by the way, which explains the efficiencies of a closed system. This law dates back to the mid-1800s and basically says that it’s impossible to create a system that has perfect efficiency of energy conversion, as there are always some losses in the conversion process. The maximum possible efficiency is different than the observed efficiency. Over time, entropy increases and a system becomes more disordered and less efficient. Early in the developing science of thermodynamics, explains Engineers Edge, researchers realized that while work could be converted completely into heat, the converse is never true for a cyclic process. “Certain natural processes were also observed always to proceed in a certain direction” (such as heat always moves from hot to cold). A machine that converts heat from a warm body into work, without losing heat to a cooler body, would violate the second law of thermodynamics. The second Law of Thermodynamics is why physicists know that a perpetual motion machine is impossible (and not so simple, either). The human body is a remarkable and incredibly complex and sophisticated system that normally keeps all sorts of things in balance, such as our fluid and electrolyte levels, our body temperature… and, yes, even our fat stores. When fat levels deviate from each body’s natural range, compensatory mechanisms kick in over weeks to return the body to its individual normal state, all without us having to think about it or having much to say about it. Even when eating a range of calories, our body weights stay within a surprisingly narrow range. The Law of Thermodynamics is more complicated than just calories eaten and burned in exercise, but it works in the body just like any other system. “Body weight is remarkably stable in humans,” explained Dr. Jeffrey M. Friedman, M.D., Ph.D., head of the Laboratory of Molecular Genetics at Rockefeller University in New York. “The average human consumes one million or more calories per year, yet weight changes very little in most people. These facts lead to the conclusion that energy balance is regulated with a precision of greater than 99.5%, which far exceeds what can be consciously monitored.” In fact, error ranges in food calorie labels, assessed by calorimetry, are typically greater than 10%! Scientists at Rockefeller University have conducted some of the most detailed, complex and precise metabolic research on energy balance and the biochemistry of fat, and shown in their renowned studies that fat people are metabolically no different from lean people, except they’re bigger. When within the weight range genetically normal for them, a fat person’s energy (caloric) balance per unit of lean body mass is indistinguishable from that of a ‘normal’ weight person. Fat people eat and burn calories no differently than naturally thinner people. “A four hundred pounder who is maintaining his weight at his set point is no more a glutton than a hundred-fifty pounder at his set point,” wrote Robert Pool of his interviews with the Rockefeller researchers. Each body is eating and burning calories in energy balance. Naturally fat and thin people are also alike in another way: It’s just as difficult for us to consciously vary our weights significantly — be it to lose OR gain — from what’s natural for our individual bodies and to maintain it for any length of time. Our bodies’ regulatory mechanisms work hard to preserve our bodies in their normal states — and biology nearly always wins. Research has shown that through willpower, diet and exercise, people have a long-term control over their weights within a 10- or 15-pound range, said Dr. Friedman. That's not going to ever change someone into a different body type -- make a naturally fat person thin or a genetically lean person obese. It might be surprising to learn how long scientists have recognized this energy balance in human bodies. Studies of the human body’s adaptations and energy balance during total fasting and weight loss have been published in the medical literature for well over a century. Professor Francis Gano Benedict (1879-1957) was one of America’s early physiologist and nutritionist who conducted more than 500 studies on diet, exercise and metabolism. In A Study of Prolonged Fasting published by the Carnegie Institution of Washington in 1915, he chronicled the scientific literature on prolonged fasting and weight loss. Early case studies of fasters from the 1800s through early 1900s had described initial changes in body composition, weight and reduced physiological function during short fasts. One of the first extensive reports of prolonged fasting had been done by Italian researcher Luciani during the spring of 1888, who studied a professional faster named Succi in Florence. Succi became the subject of several early studies through 1904. Professor Benedict had conducted a classic study of another subject, Mr. A. Levanzin, while at Wesleyan University in Middletown, Connecticut. He described the endocrine and metabolic adaptations that occur with one-month-long starvation. But, knowing that continued fasting is not healthful as it eventually leads to death, none of these early studies had gone on to see what happened over longer periods or after fasting was stopped. One of the earliest and most careful and comprehensive scientific studies of partial fasting — calorie restrictive dieting — and its aftermath was, of course the early Minnesota starvation studies done more than 50 years ago by Dr. Ancel Benjamin Keys, Ph.D., at the Laboratory of Physiological Hygiene at the University of Minnesota [reviewed here]. He found that when calories are restricted, even among young healthy men who were also exercising, metabolism dropped by 40% as their bodies attempted to preserve their size. After the intervention period of 3 months of dieting, each man eventually returned to his initial weight range without trying. Even with unrestrained eating, and the men eating as much as 4,000 kilocalories a day, they did not continue to gain into obesity. This gave scientists one of the first demonstrations that each body has a natural, genetic set point. After the mens’ weights had stabilized within their natural ranges, in time their metabolisms returned to normal, too. One of the most notable implications of the Minnesota experiment is that it challenges the popular notion that body weight is easily altered if one simply exercises a bit of “willpower." It also demonstrates that the body is not simply “reprogrammed" at a lower set point once weight loss has been achieved. The volunteers' experimental diet was unsuccessful in overriding their bodies' strong propensity to defend a particular weight level. Again, it is important to emphasize that following the months of refeeding, the Minnesota volunteers did not skyrocket into obesity. Of course, over the decades, numerous researchers have gone on to clinically research this phenomenon, with increasingly more precise physiological measures and tests, and each one replicating these findings. Drs. Jules Hirsch and Rudolph Leibel at Rockefeller University, for example, performed rigorous clinical experiments with tightly calorie-controlled liquid formulas for the subjects to consume, while their metabolisms and activity levels were precisely monitored. With each experiment, the fat people would initially lose weight and their metabolisms would drop by as much as a quarter, only to regain the weight again no matter how strong their willpower. The Rockefeller University researchers found that when fat people lost a lot of weight, while they might look like a naturally thin person on the outside, by every metabolic and clinical measure, their bodies were starving, said Dr. Hirsch. While attempting to maintain their weight loss, the dieters had to increasingly reduce their caloric intakes and increase their exercise, but extremely few were able to succeed for long. In the 1980s, Dr. Leibel had advertised to find people who’d maintained 100 pound weight losses for at least a year and a half. A colleague at the lab, Dr. Bruce Schneider, said that “he got six people and all of them were wacked.” Successful long-term losers are “monomaniacal and completely obsessed with their weight.” They’d made weight control their life, becoming extremely upset if they didn’t jog a certain number of miles a day, counting calories and constantly fantasizing about food, exhibiting every sign of dysfunctional eating behavior. They were maintaining a state of chronic starvation. No evidence reported that these subjects were healthier for it, either. But it works in reverse, too. It’s just as hard for people to gain significantly more weight beyond what’s natural for their bodies and maintain that, as it is to lose weight and keep it off. Few researchers had attempted to get people to gain weight prior to the classic studies in the 1960s led by Dr. Ethan Sims, M.D., and colleagues at the Metabolic Unit, Department of Medicine at the University of Vermont in Burlington. Dr. Sims first tried to make university students fat by having them deliberately eat two to three times their normal caloric intakes. Over 3 to 5 months, try as they might, the students were only able to increase their weights by 10-12% and couldn’t gain more. His aborted experiments with students, as well as his later studies, confirmed that weight gain or loss cannot be explained simply by the number of calories consumed, said Dr. William Bennett, M.D., former editor of The Harvard Medical School Health Letter and co-author of The Dieter’s Dilemma. Dr. Sims then had to find a group of naturally lean people who would devote themselves to trying to get fat so that he could study them and compare them to people who were naturally fat. This led him to conduct his famous prison studies, published in 1968. Groups of “equally dedicated volunteers at the Vermont State Prison” signed up, committed to eating as much as they could for 200 days to try to get fat. Far from being easy, it wasn’t. In fact, most of the men found it so extremely difficult that many considered dropping out. Forcing themselves to eat so much became so unpleasant a few even barfed after breakfast. “Most of them developed an aversion to breakfast,” wrote Dr. Sims. Virtually all of them at least doubled the amount of food they usually ate and simultaneously reduced their activity, and many were eating as much as 9,000 to 10,000 kcal/day he said. Still, only twenty men managed to gain 20 to 25% of their weight with great difficulty and the others couldn’t, even though they were consuming more calories than the others, wrote Dr. Sims. The pictures show one of the subjects of the University of Vermont study who had been able to gain weight. To accomplish this, for the first 75 days of the study, his average calorie intake was 6,700 kcal/day and for the next 60 days was a whopping 10,200 kcal/day (8,300 kcal/70 kg). Once the prisoners had gained weight, their metabolisms had increased by 50%. The men who were able to reach their goal weight found that they could only maintain their weight gain by continuing to overeat — on average ten times more than theoretically should have been necessary for their new size. Dr. Leibel and colleagues at Rockefeller University later showed that when someone gains only about 10% of weight over their natural set point, their metabolisms increase by at least 16% over and above the expected increase for their size, as the body works hard to balance energy to maintain its natural size. Someone naturally lean has to eat enormous amounts of food to try and stay larger than is natural for them — so, they might be tempted to believe that naturally fat people must being eating that much, too. But that’s not so. The body's metabolism speeds up or slows down trying to keep weight within its natural range. 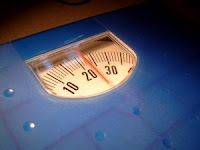 Gain weight and metabolism can as much as double; lose weight and it can slow down to nearly half its normal rate. Interestingly, the men in the prison study who had gained weight well beyond their set point range felt nearly as lethargic, neglectful of their prison tasks, and moody as the starving men in the Minnesota study. This observation, wrote Dr. Bennett, suggests that the weight at setpoint is optimal for activity and mood, and weights appreciably above or below negatively affects people in much the same way. If we lived in a world that prized being fat instead of thin, Sim’s results might be attributed to the prisoners’ lack of character. One of his volunteers, for example, began at 132 pounds. He struggled resolutely for more than thirty weeks to gain weight, ate great amounts of food, and reduced his activity to less than half its former level, but was never able to push above 144 pounds. He simply didn’t have the “will power” to get fat. Sim’s experiments demonstrated a remarkable tenacity in human physiology… From week to week, though not from day to day, appetite spontaneously balances the amount we eat against the amount of energy we burn… [This] has been demonstrated repeatedly. The simplistic view that weight management is just a matter of balancing the calories we eat and the calories we burn in exercise sounds lame now, doesn’t it? Yet, the scientific evidence from long-standing obesity research, just like the first Law of Thermodynamics, has yet to find its way to the public. © 2008 Sandy Szwarc. All rights reserved.